Bali Hotel It is the hideaway villa in Sanu, The Pavilions. 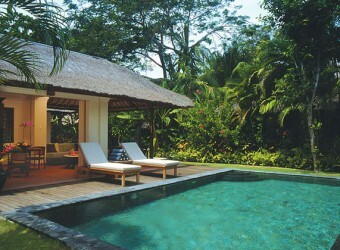 It has stylish design and warm Balinese taste in each villa, and there is green garden to enjoy calm atmosphere. It is recommended for those who want to spend private time and couple staying.